I am pleased to announce that Rev. 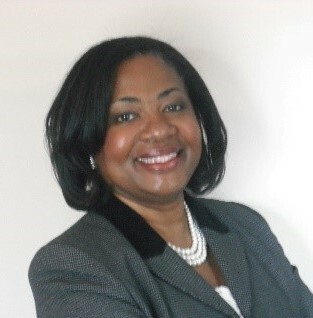 Deborah S. Owens will be the Director of the Nashville Area Office of Leadership Formation and Development (formerly known as the Office of Ministerial Concerns). Rev. Owens is an ordained elder in the Tennessee Conference and currently serves in the Harpeth River District. Before entering vocational ministry, Rev. Owens had a long career in project management with AT&T. She holds an M.Div. from Vanderbilt Divinity School and a B.S. from Middle Tennessee State University. In addition, she also holds a Masters Certificate in Project Management from George Washington University School of Business and Public Management and advanced certification in AT&T’s Quality Management System. The focus of this position has evolved with the renaming and redirection of the office from the Office of Ministerial Concerns to one that is now dedicated to the leadership formation and development of laity as well as clergy. Rev. Owens brings strong communications, counseling, and organizational skills to this position. She also has served with several district and conference organization and ministry teams, including serving as the secretary of the Tennessee Conference Board of Ordained Ministry. Rev. Owens will begin as director in late October at the Tennessee Conference Center in Nashville. She can be contacted at Deborah.Owens@tnumc.org. The Director oversees all aspects of the Office of Leadership Formation and Development, serving as the direct supervisor of the Assistant Director and Coordinator. The Director is the chief resource for the Nashville Area Boards of Ordained Ministry as well as the candidates/clergy of the Nashville Area. The Director serves as part of the Extended Cabinet of the Nashville Area and is the liaison between the Cabinet and the Nashville Area Boards of Ordained Ministry. The Director also relates to the following groups/committees: Boards of Laity, District Committees on Ministry, Connectional Ministry Teams, Youth and Young Adult Ministries, Offices of Administrative Services, Orders of Elders, Orders of Deacons, and Fellowships of Local Pastors and Associate Members in the Nashville Area.